Fearless. Courageous. Thoughtful. Visionary. What are some adjectives you think of when you think of the word “leader”? Does the word “delegator” come to mind? It is a true art form, the ability to wisely and effectively delegate. It is a quality far more quiet than others, and yet can be one of the most crucial to a leader’s success. A principal who insists on maintaining all control and refuses to allow other’s to contribute or feel ownership of a campuses goals is missing the forest for the trees. When I think of the leader who’s style I would most like to emulate, I think of someone who always empowered me to take on more, who encouraged me to believe in myself and gave me the opportunities to prove it. I was given extra after extra, and the encouragement to believe that not only could I handle it, but I would be able to handle it well. It truly molded me into who I am today, and even better, she STILL finds opportunities to build me up. Tight fisted leadership doesn’t allow people to get on board. It is hard for someone to feel invested in a direction if they feel as if they are an outsider looking in. 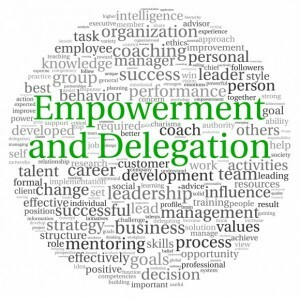 Delegating allows your team to take control, it empowers them to want to be better, to make ALL of you better. And as a leader, isn’t that what you want? Managers come and go, but leaders build other leaders and are never forgotten. You are where you are for a reason. You are the LEAD learner, the INSTRUCTIONAL leader. You can spend 20 minutes every day doing something your secretary should be doing, which equates equates into 86 hours of doing that task during the next five years. Which is a more effective use of your time? Obviously, this begins with smart hiring and being surrounded by people who you trust. If you find yourself saying, “So & so can’t handle that…so & so isn’t responsible enough for that.”, you may want to start with evaluating who is on your team. Find the “power points” on your campus, make sure they understand and believe in your vision, and start delegating. I had a conversation recently with a former custodian who worked in the building where I taught. He has since been promoted to custodial supervisor, and I love getting to catch up with him. He asked me who my heavy hitters were, and when I looked puzzled, gave me the most genuine compliment ever. Choose people who don’t need to be micromanaged. Make sure they are on board and up for the task. Ensure that your expectations are understood. Be clear if your goals and what the final product should look like. Follow up, check in, touch base…delegating doesn’t mean not following up! Give plenty of praise and credit where it is due. 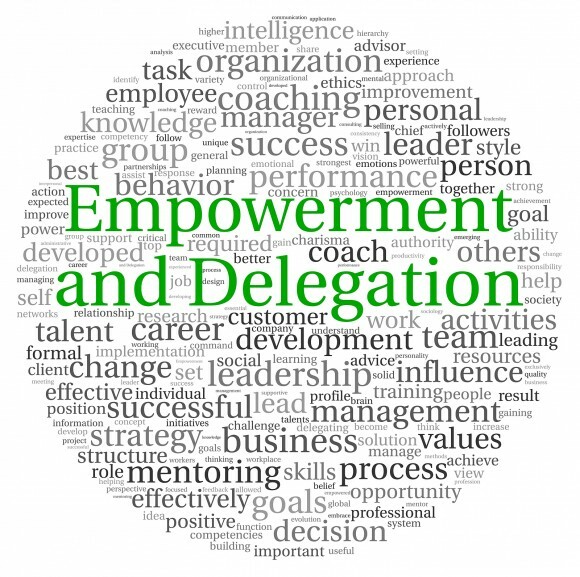 By not delegating, you may give off the impression that you don’t think those around you are up for the task. Successful delegation of authority as a leadership style takes time and energy, but it’s worth the time and energy build other leaders. This week, have a conversation and decide who YOU can empower. Delegate! Excellent point! Delegation is not something that automatically comes to mind when thinking of leadership although it is a crucial piece in being a great leader.